This is one of the most adorable reads in such a long while. I fell in love with it and you will too. My manga reading game has picked up majorly in the last two months, trying other genres beside romance. Oh my god, go me. Still reading the romances can never can escape. 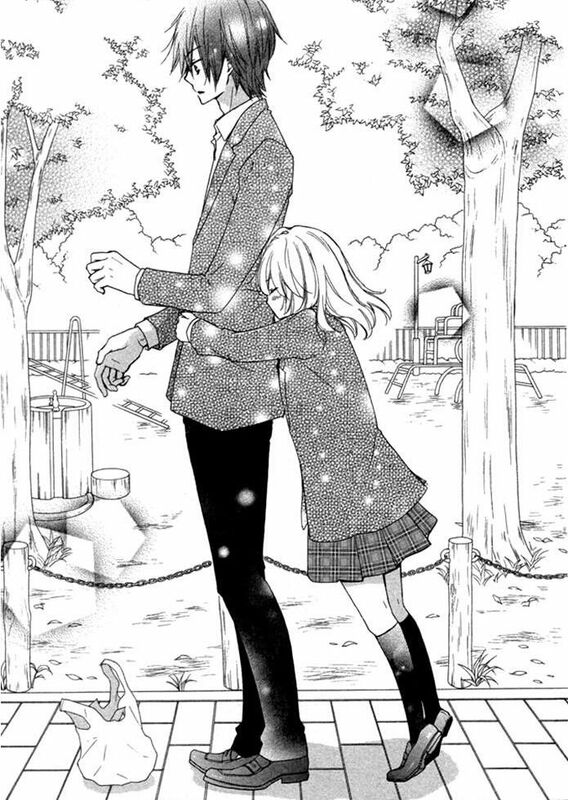 This manga series caught my eye purely for the image, short and tall person. My brain was buzzing, this could be good and after finishing. It was such a relatable read in more ways than one. After a accident making her miss first year of school. Along side her only friend, Ritsuka Hiyori is an extremely shy girl, feeling out of her element upon starting, as a fresh man. Hiyori goes through the high school motions of dating, friendships. It’s all so new to her, already catching the attention of popular Yuushin. Honestly could not believe, how much I feel in love with this high school romance. At the beginning Hiyori’s character was not appealing, just typical female lead with no gumption. It’s exactly as predicting Hiyori’s personality was. There was this unexpected personal connection felt towards her, not for the fact were both short. That last three people I’ve dated have been tall haha. Dating short people, not all it’s cracked up to be. But for how shyer person Hiyori is, stepping out her boundary zone. There are many characters in anime that fit the bracket. For stepping out of your comfort zone. One favourite of mine Sawako from Kimi Ni Todoke, lovely watching her growth progress. Hiyori’s progress through the series hit home for me. I’ve spoken before my transition moving to another country. The old me in UK, was exactly Hiyori, wanting to stay in the background. Not cause upset for anyone and awkward when it came to boys and friends. I never had a one friend like Hiyori did, having Ritsuka. Who was the main source of push for Hiyori to not rely on others all the time. Take the initiative socialising with others. Hiyori’s awkwardness to literally every situation is adorable. It wasn’t tiresome to keep seeing throughout the read because something we all relate too. It was little baby steps for Hiyori from simply as saying good morning to someone. It wasn’t until moving countries felt like finally my true self was found in honesty. I’m no longer as shy as I once was, I’m a lot louder and have become less afraid of certain things. Still not perfect in a lot of areas but there could be no better feeling. Than feeling comfortable in your own skin, just need to get to a size 12. Then I may become completely in love with myself, haha. I believe it didn’t just take your own motivation to be comfortable. The effect of others around you, Hiyori befriending Kou being similar to her. It allowed Hiyori to be more talkative and less shy. Love rivals give us that unexpected push right? This was all news to Hiyori. As Yuushin childhood friend, Kisaki is a good push for Hiyori to realise and admit her feelings. Hiyori was surrounded by many whom gave her the push she needed. This isn’t all new and something we know in many series?. Hiyori’s optimism nature towards everything, just made her break through her shyness. The relationship between Yuushin and Hiyori was really sweet to see progress. Yuushin a very laid back guy, who treats every equally. When he begins talking to Yuushin, he sends the wrong signals that Hiyori is somewhat special. It was almost annoying at points acting this way towards Hiyori, so blind. Frustrates romance lovers like to insanely. One part of their growing relationship, Yuushin and Hiyori know nothing of what dating involves. When Hiyori talks about Kou around Yuushin all the while, not realising how jealous Yuushin must be feeling. Hiyori was as blind as someone can be when, new to love. It was great too see contexts like this, because it made for the two growing closer. That much more to fall in love with and adore. Pacing was perfect in my eyes and Hiyori reaction to every sensation she felt, is so precious. One thing that never thought would happen is Hiyori’s friend Ritsuka falling for Kou. For someone so assertive, an exposed vulnerable side we got to see. All the pep talks Ritsuka gave Hiyori about admitting her feelings, being more confident. It was funny seeing Ritsuka hearing all of that from Hiyori about Kou. Hiyori and Ritsuka have an endearing friendship. 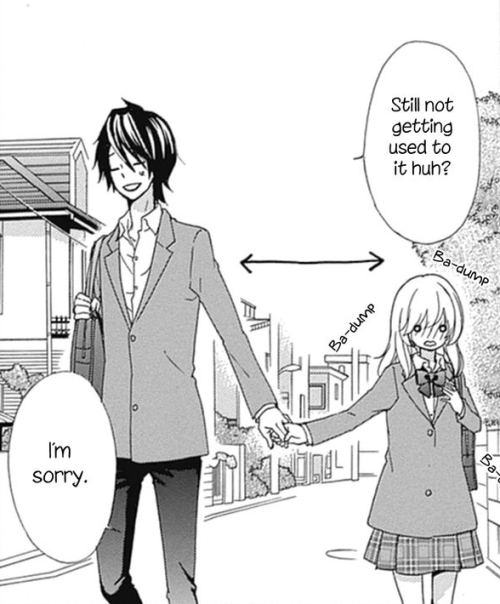 Hiyokoi is an adorable high school romance that will satisfy even anti lovers of romance. Following the themes stepping out of your comfort zone, it will be a relatable read for many. Hiyokoi has an adorable cast of characters, all have funny chemistry together in their interactions. The thing most loved that related for the reality, the struggles for short/tall couples, this concept shown in a funny light. 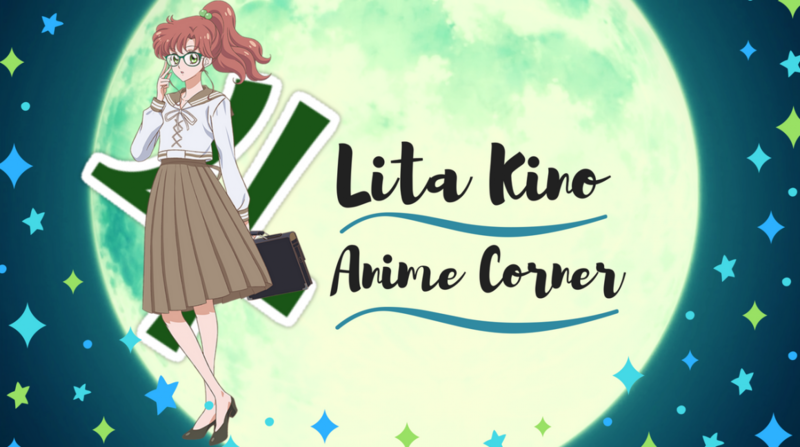 Hope you enjoyed hearing my thoughts on Hiyokoi!! Must not forget to check out the mini OVA. Why couldn’t have I.G Production just done a TV series?. That would have been so much better. Such a cute storyline this series has. This was such an relatable read for me and let me know down below if you’ve read Hiyokoi? Is this something you found relatable? Could you give this series a go as a non lover of romance? Previous Where I’m At Right Now? Update Time! Hiyokoi was the first shoujo manga I read back when I barely started reading manga for the first time. Still don’t do a whole of manga reading though haha. This one I remember being an enjoyable read. I did find certain aspects of the story to be predictable, like how Ritsuka ended up acting when Hiyori when she gained more confident, but they were fleshed out so I was able to overlook it. I enjoyed seeing all the characters grow, and learning about them. Felt it did a good job capturing high school love. Haven’t seen the OVA, but I too would have preferred it having an anime series.